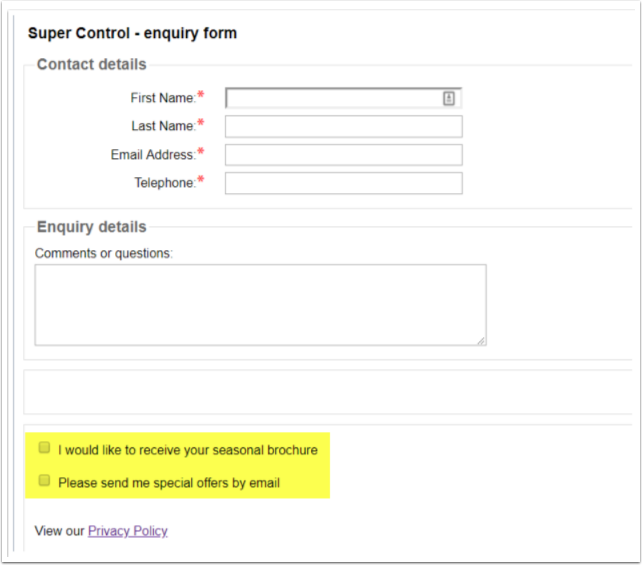 Help CentreUsing SuperControl Managing your subscription optionsWhere do the subscription options display? 3. You also have the option to ask for consent whilst adding an admin booking. 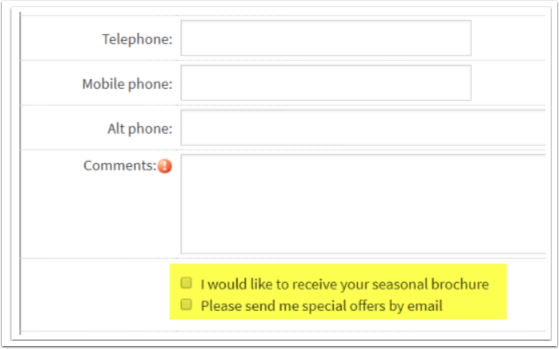 The subscription options will display when adding an admin booking or enquiry. Prev: How can I filter my database by subscription option? Next: How can I manually set a guest to be subscribed?